Details of the Regiments and Bands who are scheduled to Change the Windsor Castle Guard in April 2019. Dates, times, Regiment and Bands can change, from time to time, when the Guards are required for operational or other ceremonial duties, we use Facebook, Twitter and G + to share updates. The Windsor Castle Guard are scheduled to change at 11:00 hours in April 2019 on the dates shown below, (unless otherwise stated). This above schedule is available to download / print. Changes to the Schedule, made during the month by the British Army, are shown in bold text and shared on social media as soon as practical after notification. 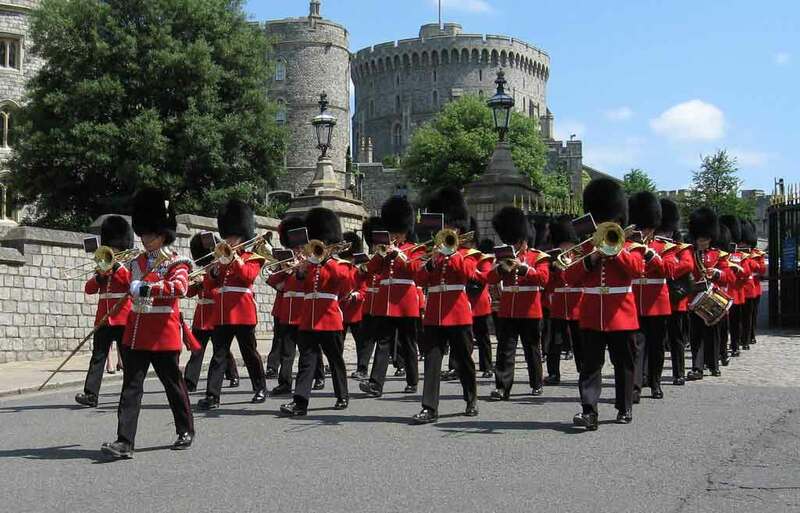 Every reasonable effort has been made by changing-guard.com to compile accurate information about the Windsor Castle Guard schedules and to keep these up to date. However, schedules can and do change from time to time, sometimes without notice, meaning we cannot guarantee the Windsor Castle Guard will change on the dates stated or accept any responsibility for loss or inconvenience caused by using the information provided on this website.